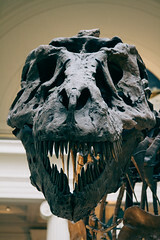 The Tyrannosaurus rex or T-Rex dinosaur is one of the best known dinosaurs in popular culture. 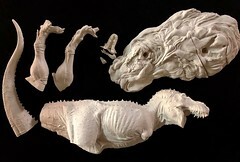 In this article we'll get to know T-rex a bit better. My son loves playing with his T-Rex toys and learning facts about his favorite dinosaur so I thought I'd share what we've learned. A T-rex for your bedroom? 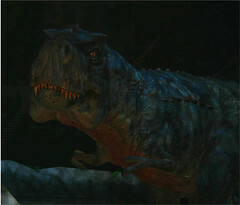 T-Rex is a therapod dinosaur - most therapods are big meat-eating dinosaurs. T-Rex was pretty big, some specimens would have been over 20 feet tall. For a long time T-Rex was thought to be the biggest carnivore. But other bigger meat-eating dinosaurs have been discovered since. T-Rex was one of the last dinosaurs to live. He lived from around 67-65 million years ago at the end of the Cretaceous time period - the last era in the dinosaur timeline. 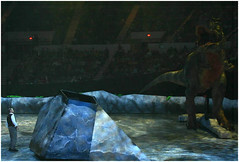 T-Rex fossils have been found across a wide area of North America. He was an American dinosaur. Scientists think that T-rex had a lifespan of up to 30 years. Why is T-Rex so Popular? So why is T-Rex so popular? Well, one of the reasons is that T-Rex lived mostly in North America. 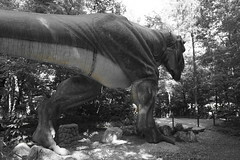 Everyone likes a local dinosaur so T-Rex became very popular in the US and spread through Western culture. I'm from the UK and T-Rex is better known here than many of our British dinosaurs. Another reason is that T-Rex is a big meat-eating carnivore. This makes him very popular with children, especially small boys like my son who thinks Tyrannosaurus is the best dinosaur ever. T-Rex was also one of the last dinosaurs to live. 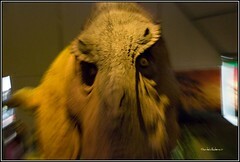 There were Tyrannosaurs walking the earth at the time of the dinosaur extinction. T-Rex is well represented in the fossil record so scientists have found many near complete specimens. So we know quite a lot about T-Rex compared to some other dinosaurs. And finally, Tyrannosaurus rex sounds really cool as a dinosaur name doesn't it! And T-Rex is a nice simple abbreviation that even little kids can say. My preschooler son thinks T-Rex is the best dinosaur ever. Mostly because he was a big meat-eating carnivore. 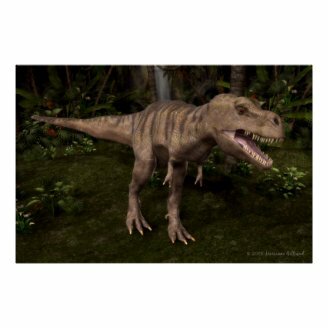 He likes the carnivores best of all and loves to see a Tyrannosaurus with lots of sharp teeth showing! My son not unusual in being fascinated by Tyrannosaurus, he's one of the most popular dinosaurs with kids and has been for many years. A brilliant clip from the BBC series Walking with Dinosaurs. This is one of our favorite T-Rex clips. It shows a mother T-Rex going on a hunt to feed her babies. Is T-Rex the Best Dinosaur? The Playmobil Advent Calendars 2011 range is very cool. Playmobil Advent calendars are packed with great toys. You have a choice of calendars to suit your child. Dinosaur shoes for kids are a great option for dino fans. We've got a range of styles including slip-on and lace-up shoes and high top boots. Dinosaur Extinction | How did the dinosaurs die? How did the dinosaurs die? What are the latest scientific theories on dinosaur extinction? We answer these questions in a way that kids will enjoy. Adults can learn the basics too. Those terrible teeth are so scary! I am fascinated by the dinosaurs.